Written by Administrator on 30 May 2009 . Now, before I attempt to judge this book by its cover, I should point out that people like Judge Sotomayor would probably think that a white guy like myself is totally incapable of such an undertaking. They would assume that a woman would probably have a richness of experiences to draw on that would make her much more fit to judge this book and would lead her to a better conclusion. Nothing could be further from the truth, and I am about to prove that point. Some people are raising the question is President Obama the Antichrist? As one can clearly see by looking at the cover, this is a difficult question to answer. The only way to be sure one reaches the correct conclusion is to use scientific processes of in depth analysis of Biblical passages and the life of Barack Obama. This author clearly got off on the right foot by using the advance scientific technique of placing a black and yellow spider on a pink flower. If a cross appears on the spiders back, then he is indeed the Antichrist. If, however, a skull appears, he is not. 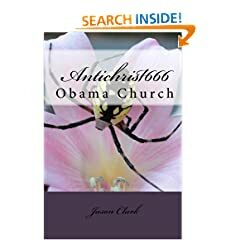 As you can see, the cover clearly tells the author that Obama is not the Antichrist. Written by Administrator on 02 May 2009 . This book is the touching story of Arlen Specter, a United States Senator who suffered from Multiple Personality Disorder. Though Arlen was a Republican, you would have never known it from his voting record. You see, Arlen's other personality was a liberal Democrat. And while getting through the day could be hard for the average person suffering from Multiple Personality Disorder, imagine how hard it is for a person in the spotlight like Arlen. It is true that all of the odds were against the guy, yet he overcame. Time and time again, Arlen's Republican personality tried to fight it's way to the surface, but Mr. Specter bravely beat him back into the furthest recesses of his dark and tortured brain. As the years went by, Arlen became stronger, and less and less was seen of his Republican counterpart. 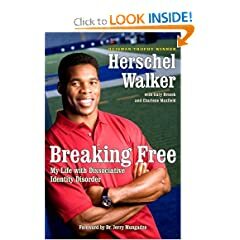 This is an encouraging story of how you too can beat the odds and torture an entire population into a head scratching bewildered stupor. Perhaps you are suffering from MPD, and you don't like the personality that has surfaced. If so, then lean on the strength of Arlen, stand up and proudly proclaim "I have no idea who the heck I am, but vote for me anyway". You will laugh with Arlen as he tries to outlaw switching parties mid stream, and then does so himself. You will be proud of him as he reaches across the isle to work with himself. When the people wanted Democrats, he said "I'm your guy". When they wanted Republicans, he said "I'm that guy too". And when they demanded bu partisainship, who better to fulfill the demand than Mr. Demorepublicrat himself? Will Republicans forgive Arlen for switching and vote for him in 2010? Will Democrats find his switch to be enough to forgive him for switching the last time? Will Arlen go for the trifecta and switch one more time to become the first ever Demorepublicratican? Will Spector write a sequel called "Breaking Free of The Stuff That I Broke Free For In The First Place"? All of these questians and more are answered in this classic. Written by Administrator on 11 April 2009 . Written by trlrtrash13 on 05 April 2009 . Given my established success at judging a book by it's cover, one should feel no distress that this book is currently out of stock. I got it covered. Without further ado, the list of 9. 9. Forget to organize their community. 8. Forget to have their Birth Certificate locked up somewhere. 6. Stand by their racist preacher. 5. Stand by their Marxist friends. 4. Try to speak without a teleprompter. 3. Enter through doors. Successfull geniuses know to use the windows. 2. Sell their own used furniture. Successfull people know to let their friends sell their vacated seats. 1. Campaign in fewer thn 57 States.